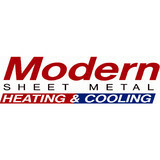 Modern Sheet Metal Inc. has been servicing Appleton and the surrounding Fox Valley area since 1963. We specialize in heating, cooling, air quality, and customer service. As a family-owned and operated business, we offer premier, personalized service. In May of 2002, Connie Barbier (Smokey's daughter/ granddaughter) and Casey Czekala purchased the business and are the current owners. 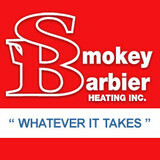 They are carrying on the tradition of providing state-of-the-art HVAC products for both residential and commercial needs, along with superior customer service that has been the benchmark of Smokey Barbier Heating, Inc. Smokey Barbier Heating, Inc. is fortunate to have been retained in the Barbier family for three generations. We provide the full spectrum of HVAC services for homeowners and business owners in the Sheboygan area. Whether you need maintenance, service, repairs or installations, our trusty technicians will get the job done right. We never compromise on quality, and we take pride in our customers’ comfort and satisfaction. 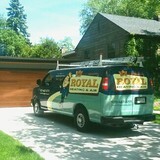 Jims Royal Heating & Air has been Sheboygan county's most trusted heating company for over 40 years. How can we help you today? 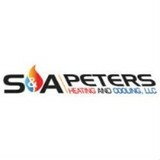 At S&A Peters Heating and Cooling, our HVAC experts have a passion for keeping families comfortable and getting things done right the first time. Brothers Scott and Adam have more than 45 years of combined industry experience at furnace, air conditioner, and boiler repair and replacements. We pride ourselves on treating every home like our own and every customer like family. For HVAC service the Greater Fox Valley, give us a call at 920-810-0210. Robinson Heating & Cooling is a company that is dependable and trustworthy. We sell the best Heating, Ventilation, and Air Conditioning (HVAC) products available specifically selected for Green Bay, WI and the surrounding area. Our team of honest and dependable furnace and air conditioner technicians will guide you through the process of repairing or replacing your homes HVAC system. E.C. Merrill is a family owned, fourth generation company located in North Fond Du Lac Wisconsin. Our main focus is the servicing and replacement of residential and light commercial mechanical systems. Since 1987, All Seasons Heating & Air Conditioning has been dedicated to delivering residential and commercial HVAC services throughout the entire state of Wisconsin and Upper Michigan. We are a family owned and operated company. Our Green Bay Heating Contractor services offer the highest quality, best customer support, and best value for Air Conditioning Installation, Boiler Repairs, Thermostats, Commercial HVAC, Roof Top Units, HVAC Maintenance, Heating Repairs, Duct Cleaning, Air Conditioning Repairs, Emergency HVAC, Mini Split Systems, Indoor Air Quality, Central Vacuum Systems, Humidifiers, and Furnace Repairs. Serving Northeast Wisconsin since 2008, LeafGuard & DES by Keeney Home Services is your local expert in roofing, gutter protection, and energy saving solutions. Hoffman Heating & Cooling Inc.
Hoffman Heating & Cooling offers expert home comfort services including installation, repair, and maintenance for furnaces, boilers, air conditioners, heat pumps, and indoor air quality products. No matter your problem or concern, our NATE-certified technicians will find a tailored solution that keeps you safe and comfortable. We specialize in recommendations for every unique need, and have earned a reputation for doing things right the first time throughout the New London, Hortonville, Weyauwega, Fremont, Greenville, and Clintonville area. Find your heating and cooling solution today—call 920-982-6565. Generally, Wrightstown HVAC contractors or HVAC technicians work with or run companies that repair or install heating systems and air conditioning units for homes. But they have specialized services too. For example, if you are a wine collector and you are thinking of installing a wine cellar in your Wrightstown, WI home, you might hire a Wisconsin HVAC professional who specializes in refrigeration work. HVAC professionals can use their skills to help you to save money on your Wrightstown, WI home’s energy bills by installing radiant barriers in your attic or split-zone heating and cooling systems to heat rooms like solariums while cooling upstairs bedrooms during warmer temperatures. Find HVAC contractors on Houzz. Look in the Professionals section of our website and search for Wisconsin HVAC contractors. Read reviews and see how an HVAC contractor might approach your Wrightstown, WI home’s heating and cooling challenges.